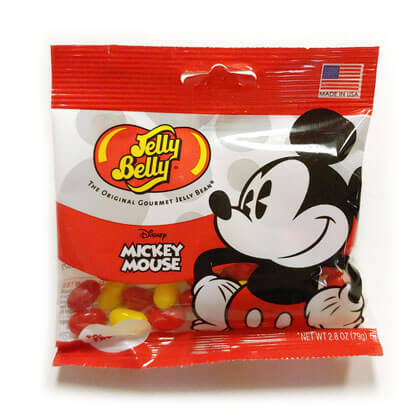 Jelly Belly is teaming up with The Walt Disney Company for a special edition line of Disney character inspired flavor mixes. Mickey's mix includes sour lemon, coconut, red apple, sour cherry, wild blackberry, lemon, and very cherry. Net Weight is 2.8 oz peg bag.